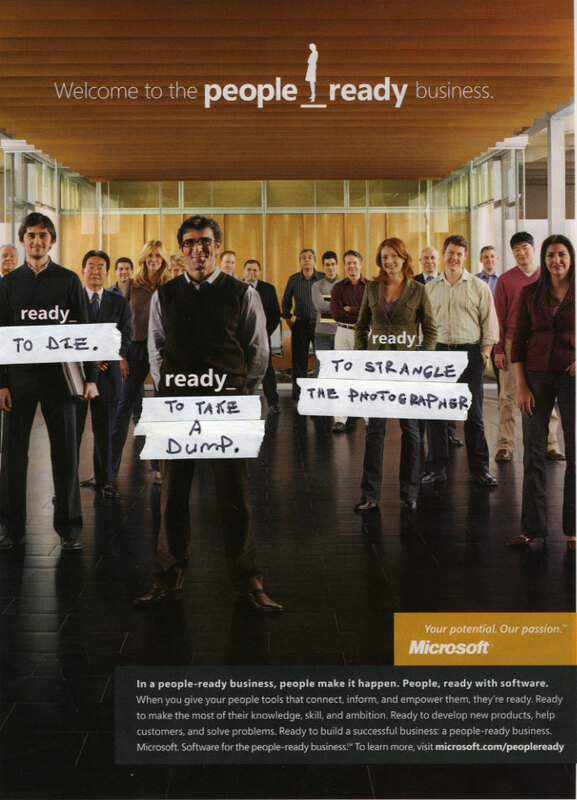 Angered as we are with the blandness of Microsoft advertising and its recent mean-nothing positioning of itself as "people ready" and its knack for portrating fake companies and fake people in its ads, Copyranter decided to edit the ad a bit and bring some reality to the models standing in for real people in the ad. See the full sized ad here. 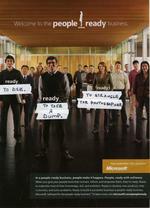 MICROSOFT�a perfect example of client-driven creative. Thank you Bill Gates!